(Dili, 5 June 2017) – The Asian Forum for Human Rights and Development (FORUM-ASIA) together with its members in Timor-Leste, the Association for Law, Human Rights and Justice – Hukum, Hak Asasi dan Keadilan (HAK) and the Judicial System Monitoring Program (JSMP), jointly call on all political parties that will participate in the upcoming parliamentary elections on 22 July 2017 to include human rights agenda in their political platforms and commit to address human rights violations in the country. The historic referendum on 30 August 1999 was the beginning of a new era for Timor-Leste, one of the youngest countries in the world. 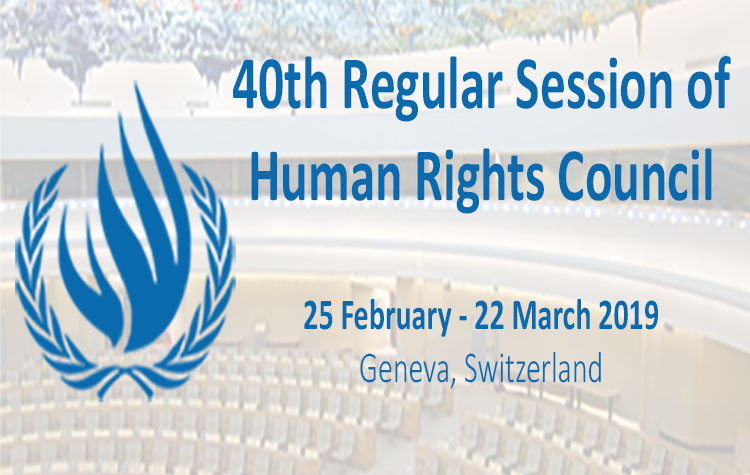 On the human rights front, however, the country continues facing challenges, including: stagnation in economic development; difficulties in poverty reduction; and impunity for past human rights abuses during the occupation. The upcoming parliamentary elections hold the potential to bring concrete changes to the promotion and protection of human rights in the country. On 31 May 2017, a dialogue session was held between civil society and five political parties: the Center of Timorese Social Democratic Association (C-ASDT), the Democratic Development Union (PUDD), the People’s Liberation Party (PLP), the Revolutionary Front for an Independent East Timor (FRETLIN), and the National Unity of Timorese Resistance (UNDERTIM). During the event, FORUM-ASIA, its members, and other civil society organisations shared their main human rights concerns and put forward a number of recommendations to the political parties. Political intervention in the justice system remains a concern, especially in high-profile cases, such as the one of Maternus Bere. Maternus Bere was arrested in 2009, and charged with war crimes and crimes against humanity when he led the pro-Indonesian militia in attacking and killing more than 200 people after the 1999 referendum. However, he was soon released, as authorities submitted to diplomatic pressure from the Indonesian Government. This is just one emblematic case in which impunity for past human rights violations committed during the Indonesia’s occupation reigned. To address this judicial reform and capacity-building for judges and law enforcement officers are urgent, including the establishment of a special judicial process to address past human rights abuses. Recently, restrictions on the right to freedom of expression have been heightened. The current media law, with strict accreditation guidelines and undue restrictions on foreign journalists, is not in line with international human rights standards. The rights to freedom of peaceful assembly and of association is limited for community-based organisations. Discrimination against women in public spaces and decision-making processes is one of the main challenges in addressing equality in society. Another main concern for the upcoming parliamentary elections is the disenfranchisement of people with disabilities. Particularly the set-up to cast a vote is not appropriate for disabled persons. Enact legislation on reparations for victims of past human rights violations and on establishing institutions of memory. Human rights defenders, especially those working on land rights, Lesbian, Gay, Bisexual, Transgender and Intersex (LGBTI) rights, and journalists, face harassment, threats and intimidation. In spite of attempts by the PDHJ to tackle abuses against human rights defenders, it remains difficult due to the lack of mechanism and mandate to prosecute perpetrators. Integrate human rights education into the national curriculum. In spite of the ratification of the International Covenant of Economic, Social and Cultural Rights, corruption remains the main obstacle for Timor-Leste to ensure economic, social, and cultural rights for its citizens. Social services, including basic infrastructures, healthcare and education, are not standardised and accessible for people who live in remote areas. Free market policies and mega development projects, such as Special Economic Zone (Zonas Especiais de Economia Social de Mercado, ZEMSS) in the Oecusse District and the development of the Suai Supply-Base Project could affect the livelihoods of many people, especially indigenous groups. Foster a people-centred and people-oriented market, based on principles and practices, to ensure inclusive development that puts at its core the fulfilment of economic, social and cultural rights by encouraging public participations in every sector, whether of farmers, fishermen, or social entrepreneurs. Prioritise universal healthcare and basic education for all, as fundamental conditions to elevate the quality and quantity of human resources in Timor-Leste. Gender bias continues to exist in the political, economic, social and cultural context. According to the Universal Period Review (UPR) submission of PDHJ for the second cycle review, domestic violence remains high in Timor-Leste, and long overdue revisions in the legal process hinder domestic violence victims to access justice. LGBTI rights are not guaranteed by law. Assure the implementation of all laws to protect women and child rights, including the rehabilitation programme for teenage girls who get pregnant to continue their study. FORUM-ASIA, its members, and other civil society organisations highly appreciate the attendance and positive responses from C-ASDT, PUDD, PLP, FRETLIN, and UNDERTIM, especially their commitment to include human rights education in the nation-wide curriculum. The incoming members of parliament are urged to demonstrate their commitment to implement the 146 accepted recommendations and consider the pending eight recommendations from the second cycle of the UPR with full and inclusive participation of civil society. Human rights thrive in a genuine democracy, based on the free-will of the people. Thus, we call upon the National Electoral Commission of Timor-Leste to maintain its professionalism and independence, and ensure universal franchise, provide mechanisms for participation of the vulnerable sectors, and guarantee the rights to contest in the electoral process. Universally recognised principles of free and fair elections should be upheld, laws must be enforced in a manner that is fair to all parties concerned, and a level playing field should be ensured. Lastly, we call on all Timorese citizens to exercise their right to suffrage and fulfil their civic duty by participating in the elections. Civil society organisations, political parties, and all stakeholders are urged to work together in promoting a transparent and meaningful democratic process.